What the employee is paying to the employer cannot come under the head ‘Salaries’ since he is not the employer’s employer. This amount represents application of his income and therefore, it is not deductible. He has merely applied this income to discharge a liability and therefore, it is not tax deductible. Circular 122, dated 19.10.73, clarified that if the employer employs a gardener for a building belonging to the employer, it would not be treated as a perk. This principle continues to be applicable even now with the possibility of it being extrapolated to other servants. This is more interesting. A helper engaged for the performance of the duties of an office or employment of profit; is not considered as a perk under Rule 2BB, read with Sec. 10(14). Many employees, particularly at the top level, and especially in view of communication handshakes available through e-mail, do not necessarily work only in the office. Some part of the work is done at residence. We will go to the extent of stating that the employee can directly engage the services of a helper and claim reimbursement from the employer without it being considered as a perk. According to Rule 8 of Part A of the Fourth Schedule, this requirement of 5 years shall not be applicable where the service has been terminated by reason of the employee’s ill-health, or by the contraction or discontinuance of the employer’s business or other causes beyond the control of the employee. All the same, it is not clear if the employer’s contribution becomes taxable if the employee has to retire on attaining superannuation age after a continuous service of less than 5 years. It is our considered opinion that since the retirement is beyond the control of the employee, the amount does not become taxable. It is erroneous to feel that the employee’s contribution to PF is not taxed during the year of contribution. It is fully taxed in any case. All he gets is the deduction which stands withdrawn if the employee withdraws the PF before 5 years. To tax the contribution once again in the year of withdrawal is tantamount to double taxation. In the case of unrecognised provident fund, there is a triple taxation if the employee withdraws within 5 years. Not only he is not allowed any deduction on his own contribution but also the employer’s contribution is taxed during the year of contribution and also during the year of withdrawal. Telgi pays more tax than Ambanis, Premji, Murthy! 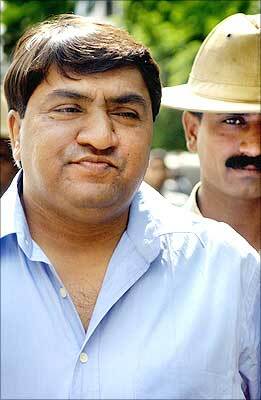 Abdul Karim Telgi, the prime accused in the Rs 3,000 crore (Rs 30 billion) fake stamp paper scam, paid more income tax this year than business magnates like Reliance Industries chairman and India’s richest man Mukesh Ambani or Wipro Chairman Azim Premji or Infosys chairman Narayana Murthy. Telgi paid Rs 6.5 crore Rs 65 million) in income tax this year, according to reports in Economic Times and Mid-Day, far more than what the bosses of Infosys or Wipro did. Learning how to plan your taxes is a major part of choosing an investment strategy. In this article we will look at Section 80C, one of the most important provisions for investors in the tax laws. The government, in order to encourage savings, gives tax breaks to certain financial products as discussed in Section 80C of the Income Tax Act. These investments are often referred to as 80C investments. tible which means that you don’t have to pay income tax on it. Thus if you are in the 30 per cent tax bracket and you invest the maximum allowed you save Rs 30,000 in taxes. These include the public provident fund (PPF) and National Savings Certificate (NSC). They offer a return of around 8 to 8.5 per cent which is quite low compared to typical returns in equity products. Furthermore, there is a relatively long lock-in period, 15 years for the PPF and 6 years for the NSC. Their main advantage is that they offer a guaranteed return unlike equity-based products. These are basically mutual funds which are specially created to provide tax benefits. As with regular mutual funds there is no guaranteed return and you can lose money in a period of falling stock prices as has happened in the first half of 2008. However, ELSS usually provides a higher return than small savings schemes and also a lower lock-in period of three years. Examples of ELSS include Franklin India Taxshield and HDFC [Get Quote] Taxsaver. As with regular mutual funds, these schemes pursue a range of investment strategies: For instance, some may focus on large cap stocks while others may focus on small and mid cap stocks. It makes sense to invest in more than one scheme to diversify some of your risk. How do you decide to allocate your Rs 1 lakh 80C limit? This will depend on your other financial decisions; for example whether you have taken a home loan or purchased life insurance. As to the decision between small savings schemes and ELSS two of the most important factors are your attitude to risk and inflation.